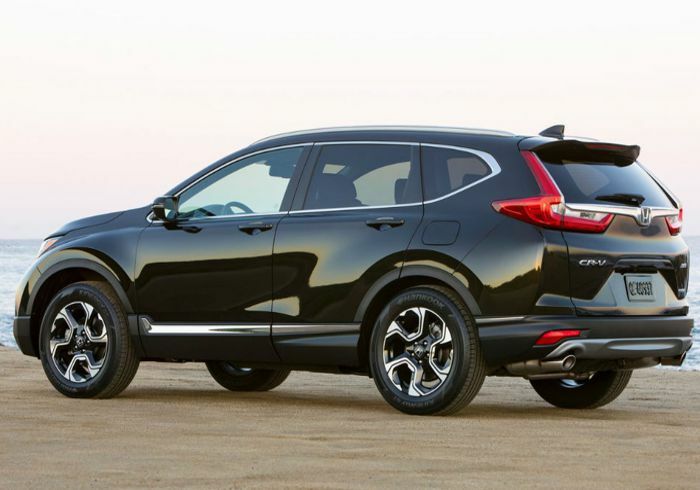 The new Honda CR-V – modern, sophisticated and stylish. What more could you want in a vehicle? I took the adventurous CR-V for a test drive at Imperial Honda and here is my verdict. The striking lines of the new Honda CR-V not only creates smooth appeal, but also supports the vehicle’s performance by conveying airflow, therefore resulting in improved fuel economy. Chrome finishing and the rear skid plate provide the CR-V with an individual, focused look, while the round edges of the door mirrors create an overall contemporary design. The CR-V is available in a range of colours from White Orchid Pearl to Modern Steel Metallic – the choice is yours! Everything is positioned exactly where you need it with the dashboard’s well-designed layout offering cutting-edge technology in a modest way, making vital information readable and easily accessible. This stunning vehicle also comes equipped with Apple CarPlay and Bluetooth, as well as a USB connection in the front and rear, and AUX connectivity for your convenience. The powerful Honda CR-V comes in four models, namely the CR-V 2.0 Comfort FWT CVT, which has 113kW of power and 189Nm of torque, and the top of the range 1.5T Exclusive AWD CVT, which offers 140kW of power and 240Nm of torque. Once of the most important features of any vehicle is safety. 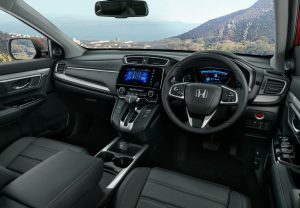 Honda has emphasised this with the new CR-V, which comes with an Anti-lock Braking System, Electronic Brake-force Distribution, Hill Start Assist, auto Rain Sensing Wipers, plus many more safety features. Pricing starts at R435 900. Contact Imperial Honda on 011 826-4444 for more information about the new Honda CR-V, or to book a test drive.